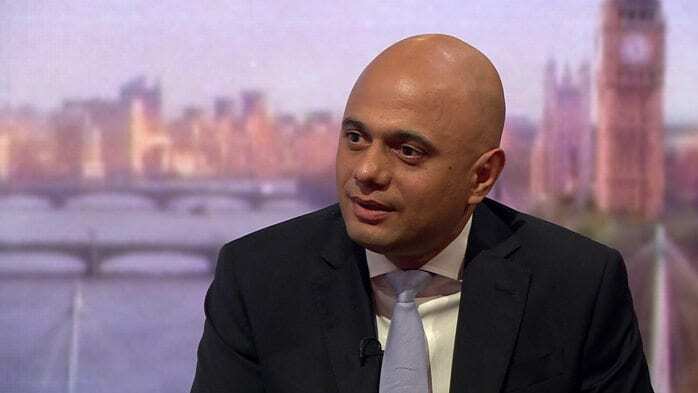 Earlier today Sajid Javid spoke on the Andrew Marr show on the BBC; The home secretary has announced he will be reviewing Britain’s “hostile environment” immigration policy in light of the Windrush scandal. The recently appointed Home Secretary hinted at a possible adjustment of the government’s immigration policy in other areas. He said he would “look again” at the inclusion of international students in net immigration figures, admitting there was a “perception problem”. Critics, who want foreign students removed from immigration figures, have long argued that very few overstay their visas and so there is no reason for their inclusion. Mr Javid became home secretary in April after Amber Rudd quit. Speaking to the Andrew Marr Show, he also said he would be lobbying Chancellor Philip Hammond for more cash for policing, and confirmed an increase in security officers to boost counter-terrorism efforts. It was one of the few points that he was direct and clear about. During the interview he referred to his go to phrase of ‘policy under review’ with regular frequency. The home secretary was also asked about the so-called Tier 2 visa system, introduced by Mrs May when she was home secretary as a means of capping the number of skilled workers from outside the European Union who had a job offer. An annual cap has led to thousands of IT specialists and engineers as well as NHS staff being denied visas. Mr Javid said that addressing the issue of the Windrush scandal, which led to Amber Rudd’s resignation, would be his top priority. Mr Javid said that up to 63 Windrush migrants may have been deported wrongfully in the fiasco. He said the government had so far managed to track down seven of those individuals. Mr Javid said the government was still working to establish how many people from the Windrush generation might have been wrongly detained during the crackdown. Mr Javid also refused to endorse another immigration policy, the promise to reduce net migration below 100,000, saying he was committed to the Conservative manifesto which contained the pledged. The home secretary will have to take a similarly tough line to immigration as did the prime minister, during her tenure as the home secretary. But he is searching for a way to conform to the PM’s direction whilst trying to stamp his own authority on the policy.